​with 2, 1-week, onsite, residential intensives. Applications are now being accepted for the next cohort. 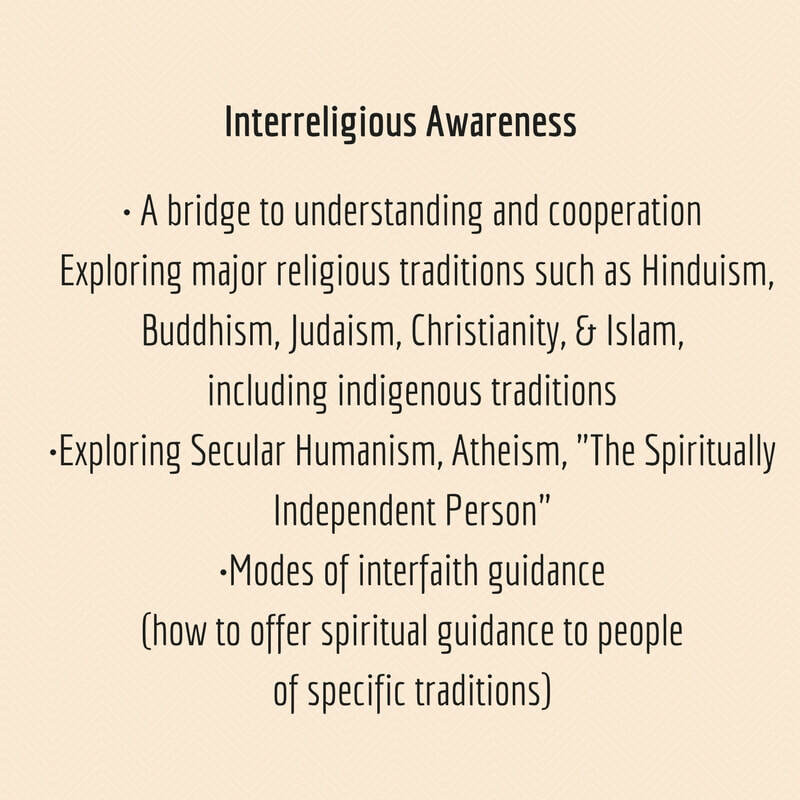 Our certification program for interfaith/interspiritual guidance will teach you the art and practice of spiritual guidance/direction and prepare you to establish a private, client-based practice or work/serve within an organization of your choosing. 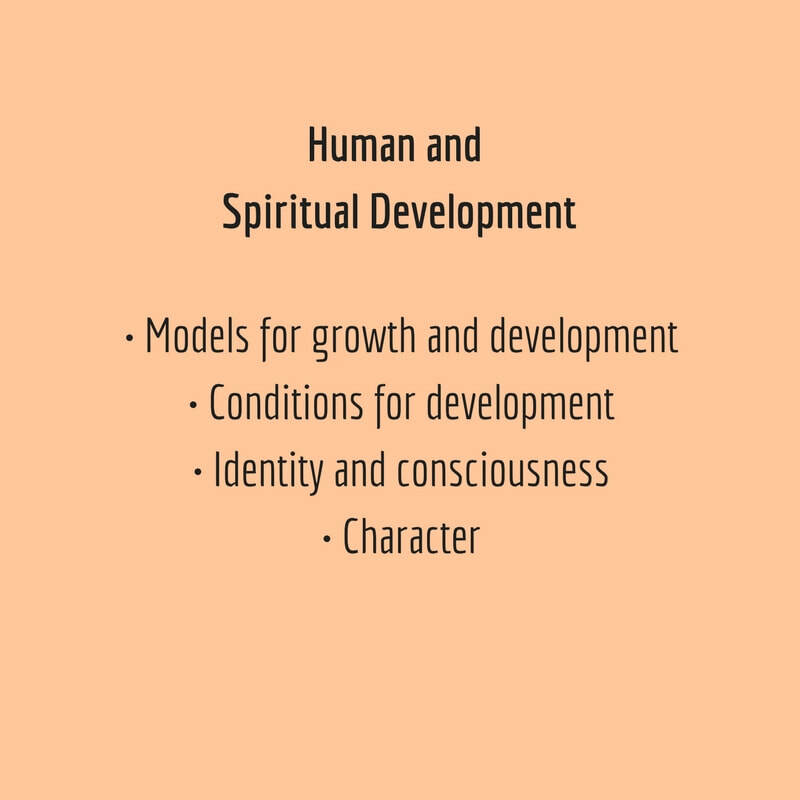 Our pedagogy focuses on the inner development of the spiritual seeker and guide, familiarization with the world's religions and prominent spiritual movements; and the many ways spirituality is being experienced today, including "spiritual but not religious." This approach helps us deepen our knowledge of how seekers experience the Sacred in their own unique ways. Over time, this leads to an unfolding awareness that beneath each tradition runs a river of ultimate truth shared by many. 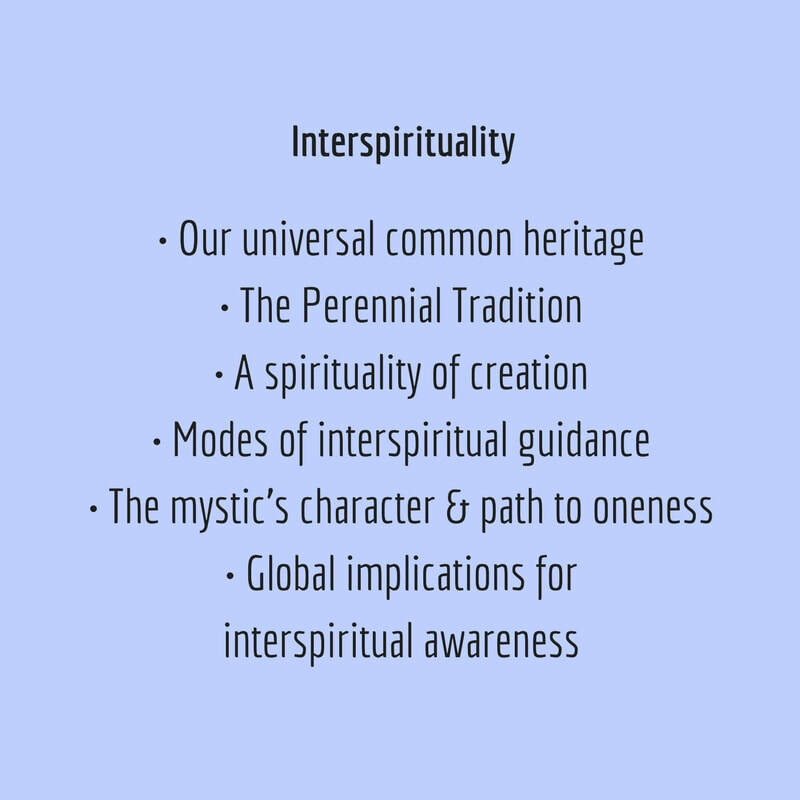 Our 18-month journey takes us from interfaith to interspiritual, deepening our personal understanding of how the divine reveals itself in each person's life, across time and traditions. 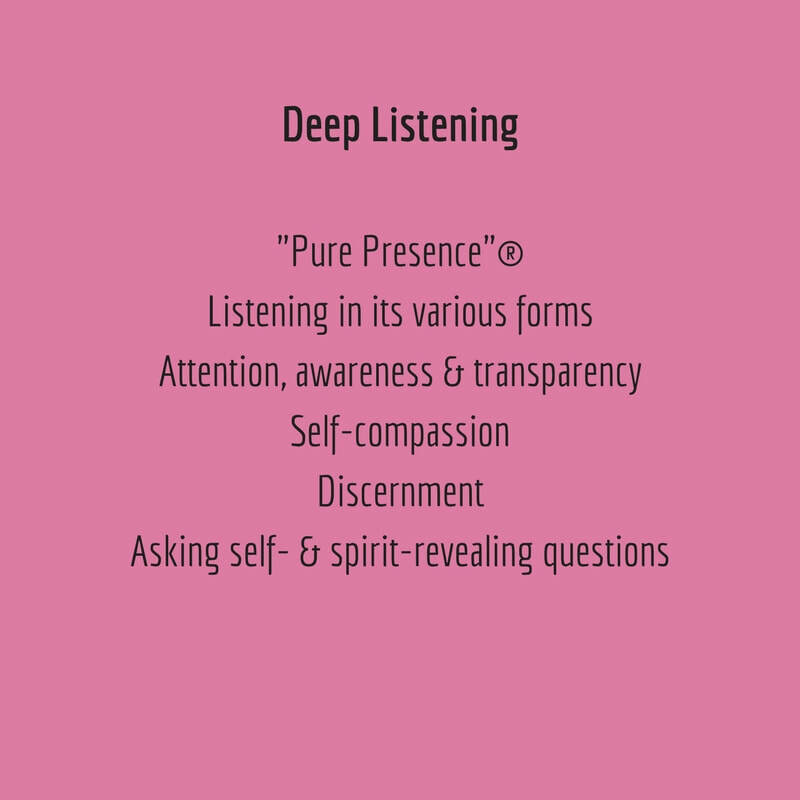 By mastering the "Pure Presence"® protocol for sacred listening, we can be available to all individuals, thereby expanding the role of the spiritual guide to be a compassionate leader in the world. 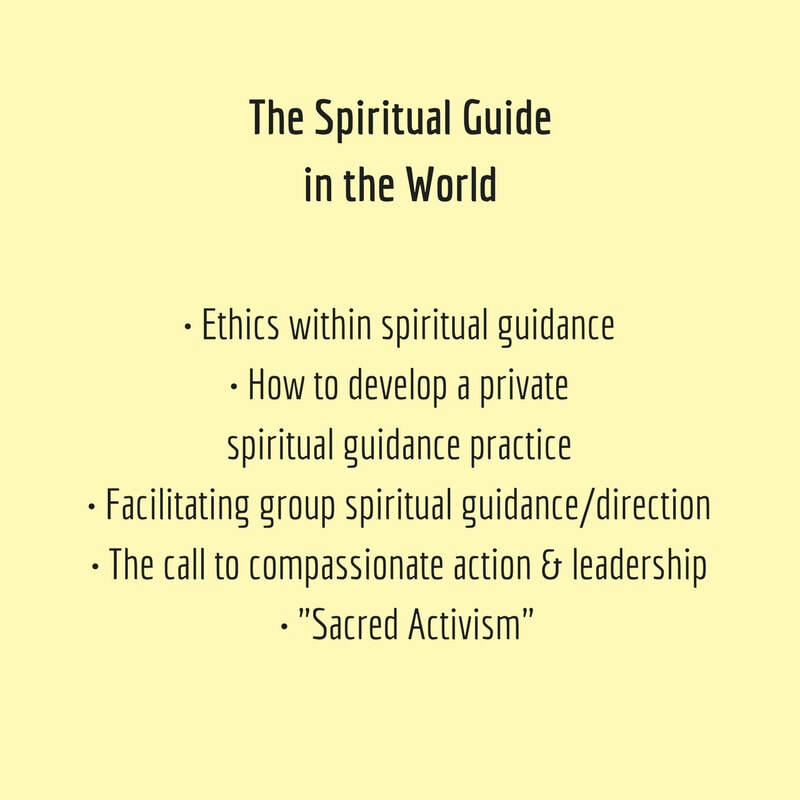 "SGTI has not only opened me up to the beauty and diversity of the spiritual traditions and practices our world holds, but it has offered me a deeper understanding of myself and my own spiritual life and by extension the potential I hold to compassionately serve others on their spiritual journey." Our curriculum begins with the first residential institute in Chicago, August 22-28, 2019. During the first week, we launch our discussions on interfaith and interspiritual guidance and are introduced to our model of non-judgmental, compassionate listening, "Pure Presence"®. 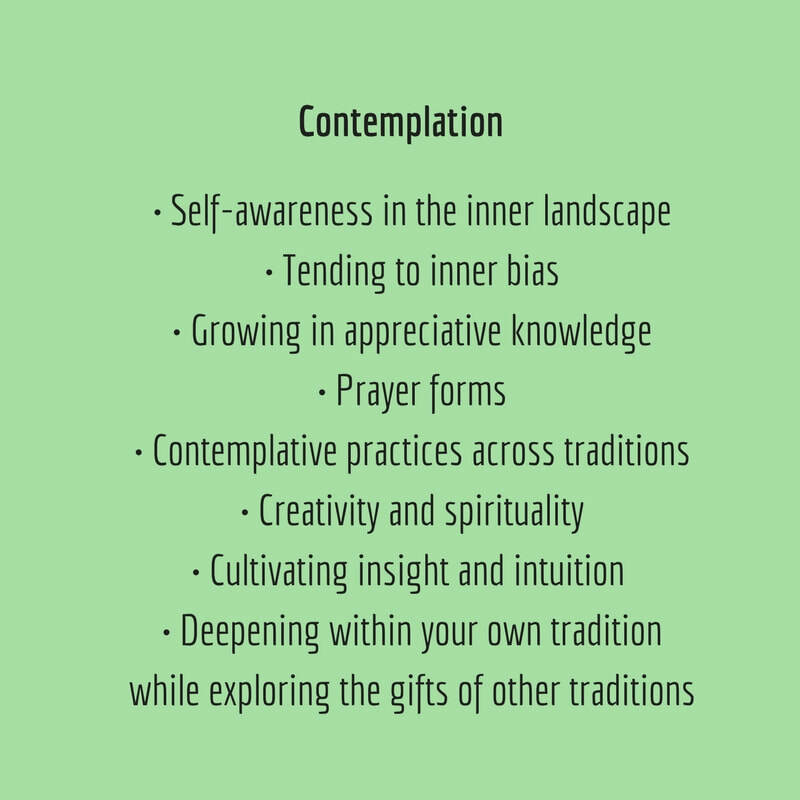 We participate in contemplative practices from various traditions to deepen our self-awareness. We take field trips to sacred sites ("holy houses" around the city and engage with seekers from numerous traditions in this Interfaith Immersion experience. We continue to learn and grow together in an online format (one learning module every two weeks) and by doing spiritual guidance in our own cities from September 2019 through April, 2020. We go deeper into our inner lives and learn with and from the voices in our texts, guest speakers, peer groups, and directees. Our instruction includes written, audio, video and "real time" interaction with one another. Each participant also receives private mentoring one-hour per month (via Skype or telephone) from a lead teacher to ensure success in the program. Our second residential institute in Chicago (March 2020, date to be determined) is be a continuation of our central themes and relevant topics. We take field trips to new sacred sites, continue to deepen our practice of "Pure Presence"®, and participate in spiritual practices in community. From April, 2020 – January, 2021 we resume our online modules, the practice of spiritual guidance, peer groups, and one-on-one mentoring. Our concluding module in January represents a celebration of our work and dedication to our practice. • Reading, papers and projects as assigned (8-10 hrs. SGTI students are trained in our unique protocol for sacred listening, "Pure Presence®." Developed by Dr. Janice L. Lundy, this curriculum benefits spiritual care professionals who desire to provide unconditional, non-judgmental, compassionate listening and presence to individuals from all walks of life and every spiritual persuasion. Students use the Pure Presence Workbook and Journal throughout their studies. Learn more about this aspect of our curriculum here. Earn your Certificate in Interfaith/Interspiritual Guidance from SGTI and go on to earn an advanced degree through our PRIME partner, The Graduate Theological Foundation. Our graduates receive full credit toward their Master of Pastoral Counseling degree and the Doctor of Ministry degree, each with a specialty in Interfaith/Interspiritual Guidance. The Graduate Theological Foundation, an ecumenical, inter-religious institution, is celebrating its 55th year providing advanced educational opportunities to practicing ministry professionals, including flexible and convenient online, on-site and distance learning opportunities. Note: You may study concurrently with SGTI and GTF. You do not have to have completed your SGTI studies to enroll in an advanced degree program with GTF .